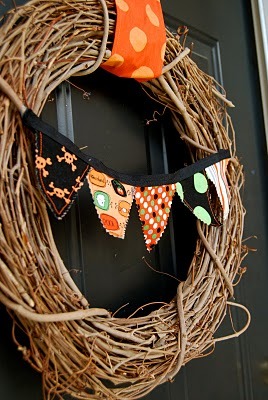 Of course I love it because it is a wreath and because it has a pennant garland attached, but I love it even more because you can keep the same wrath up all year and just change out the garland and hanger to match the seasons. Which also means you don't ever have to store a wreath! You can see the tutorial for the pennant garland HERE.